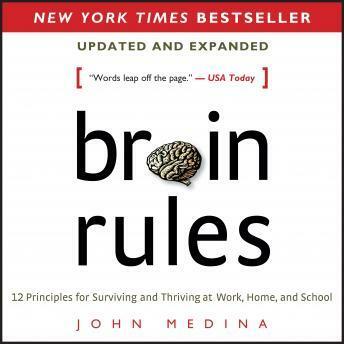 Listen to "Brain Rules (Updated and Expanded): 12 Principles for Surviving and Thriving at Work, Home, and School" on your iOS and Android device. A very interesting book. I loved how it was read! It\'s definitely something to listen to. This book was excellent at explaining the complexities of the human brain in a way that can be understood by any non-scientist. The topics were clearly defined and expertly delivered. The narrator was engaging and a suitable voice for subject matter. I didn't give it five stars because I expected the book to be a little more in-depth and scientific. I would recommend the book to anyone who wants an introductory understanding about how the brain works. Every human or healthcare provider should read or listen to this book as a fundamental requirement. Great delivery, easy to understand and inspirational.